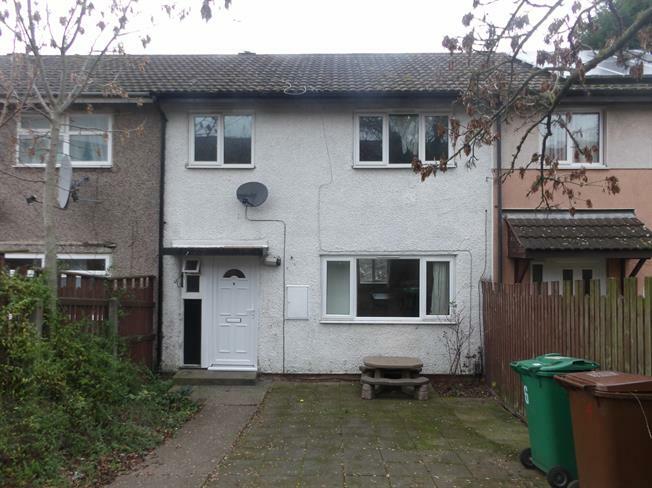 3 Bedroom Terraced House For Sale in Nottingham for Offers in the region of £89,000. This property is the perfect house someone looking a house on the outskirts of Nottingham's thriving City Centre. Approached from a quiet foot path you are greeted with a very generously sized, gated front garden. The ground floor comprises of a living dining room, a kitchen, downstairs WC and entrance hall. The first floor has three very generously sized bedrooms this is an ideal first time purchase or investment! Don't wait view immediately. Spacious living dining room with windows to front and rear elevation, with views over Nottingham to the rear. Kitchen with a range of wall and base mounted units over window to rear elevation. Entrance hall with laminate flooring, stairs leading to first floor and WC off it. Three piece bathroom suite with over head shower. There is no rear garden to the property and no off street parking.